Close to all public transport. Friendly staff. Had all amenities needed for a longer stay. Tidiness. Utilities available. Well equipped. Great view. Loved the pool. The gym was OK and could do with a revamp but was serviceable. A little lore local info would be great. We were really happy with nearly everything, staff were great, facilities great and heaps to do. The view was outstanding, the closeness to where we wanted to be, the comfort, very modern apartment. Would definitely recommend this property to others travelling to Melbourne, short stroll to the sky bus, train, tram, supermarket. 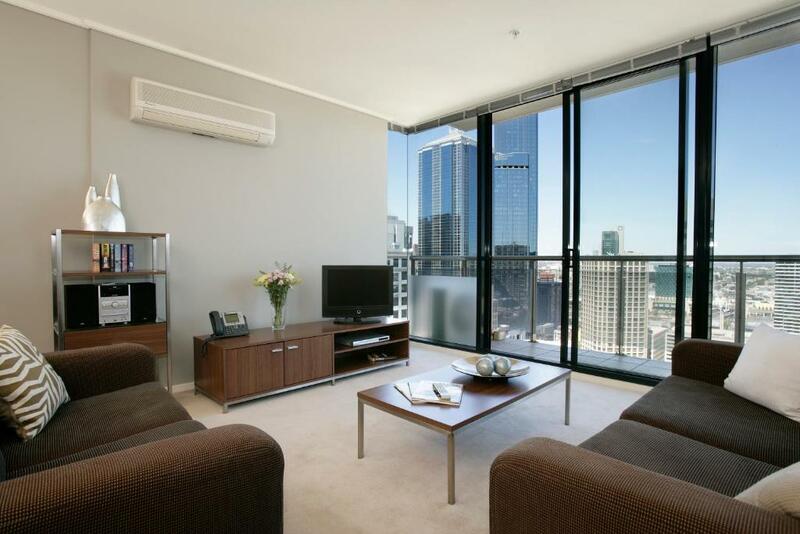 Lock in a great price for Melbourne Short Stay Apartments - Melbourne CBD – rated 8.7 by recent guests! 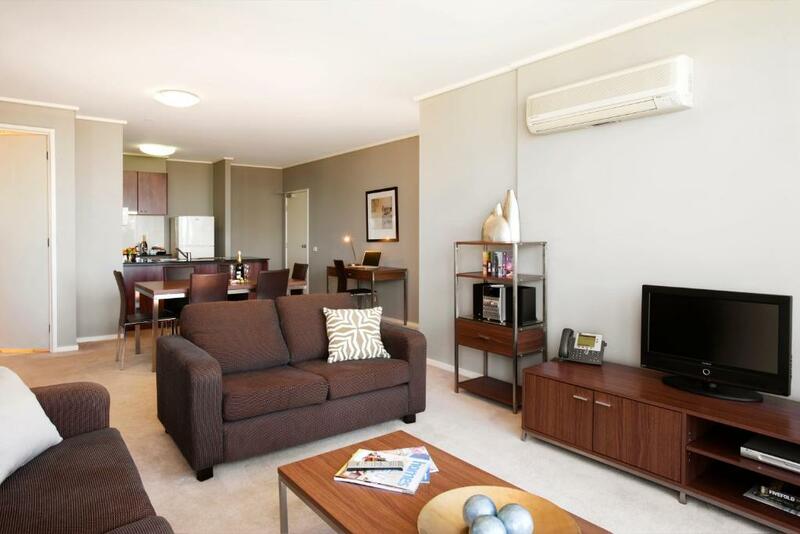 Melbourne Short Stay Apartments - Melbourne CBD This rating is a reflection of how the property compares to the industry standard when it comes to price, facilities and services available. It's based on a self-evaluation by the property. Use this rating to help choose your stay! 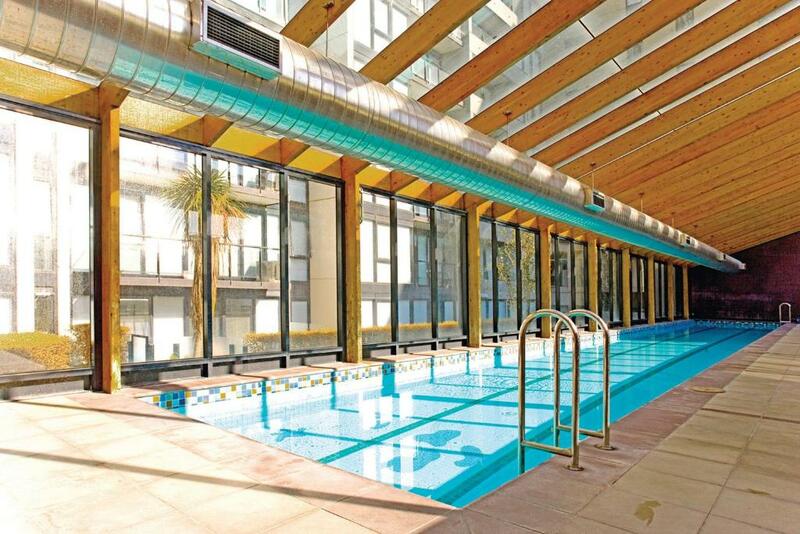 In the heart of Melbourne central business district, Melbourne Short Stay Apartments boasts an indoor pool and a tennis court. 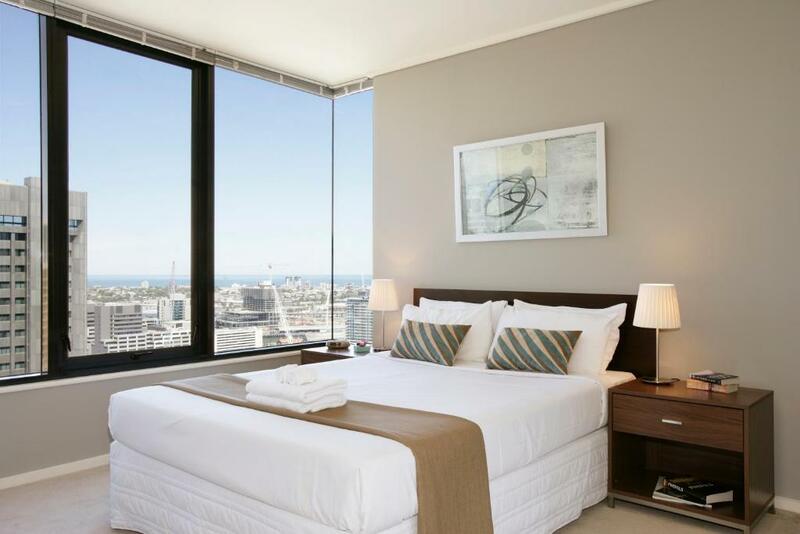 All rooms feature a balcony where guests can enjoy city views. 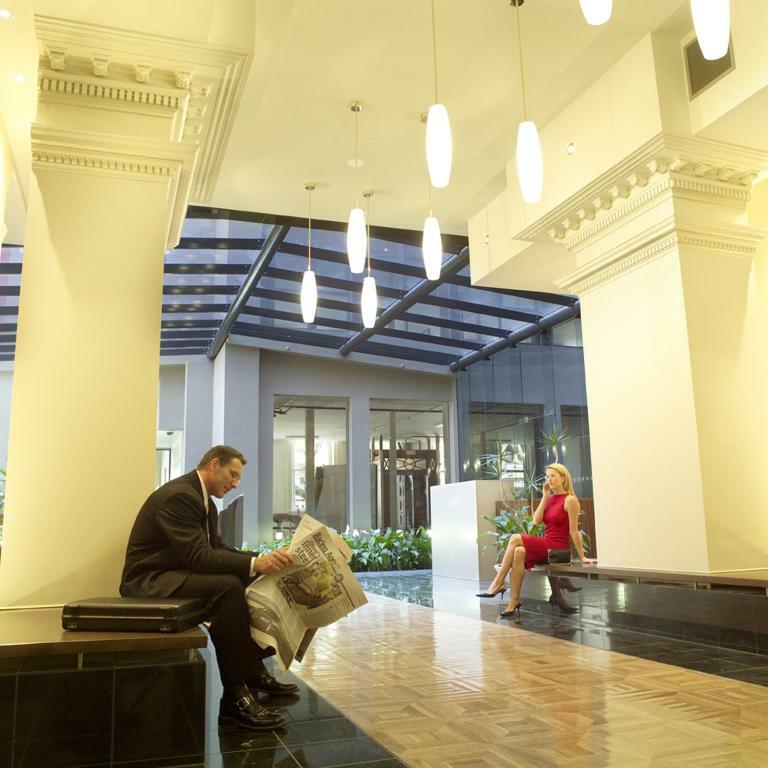 Melbourne Short Stay Accommodations are just a 3-minute walk from Southern Cross Station and a 5-minute walk from Flinders Street shopping area. Crown Casino is a 15-minute walk away and Chapel Street is a 10-minute drive. All self-contained apartments feature a full kitchen with a stovetop, oven, refrigerator and dishwasher. A flat-screen TV and DVD player are also included. They have laundry facilities. Centrally located, guests can enjoy a number of nearby restaurants and cafes. 뀐 Located in the real heart of Melbourne, this property has an excellent location score of 9.5! When would you like to stay at Melbourne Short Stay Apartments - Melbourne CBD? 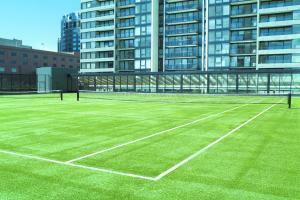 Residential apartment complex including a pool, tennis court and gym. Apartments include a living area, full kitchen, balcony and washing facillities. Located at 668 Bourke Street, right across the road from the Southern Cross Station. Ideal if you are catching the Skybus from the airport. The tram stop located directly out the front of the building will take you into the shopping districts, otherwise it is a short walk up Bourke Street. Public parking is available on site (reservation is needed) and costs AUD 23.50 per day. House Rules Melbourne Short Stay Apartments - Melbourne CBD takes special requests – add in the next step! A AUD500 damage deposit is required on arrival (around USD356.68). This deposit will be fully refunded 14 days after check-out, as long as there isn't any damage to the property. Melbourne Short Stay Apartments - Melbourne CBD accepts these cards and reserves the right to temporarily hold an amount prior to arrival. 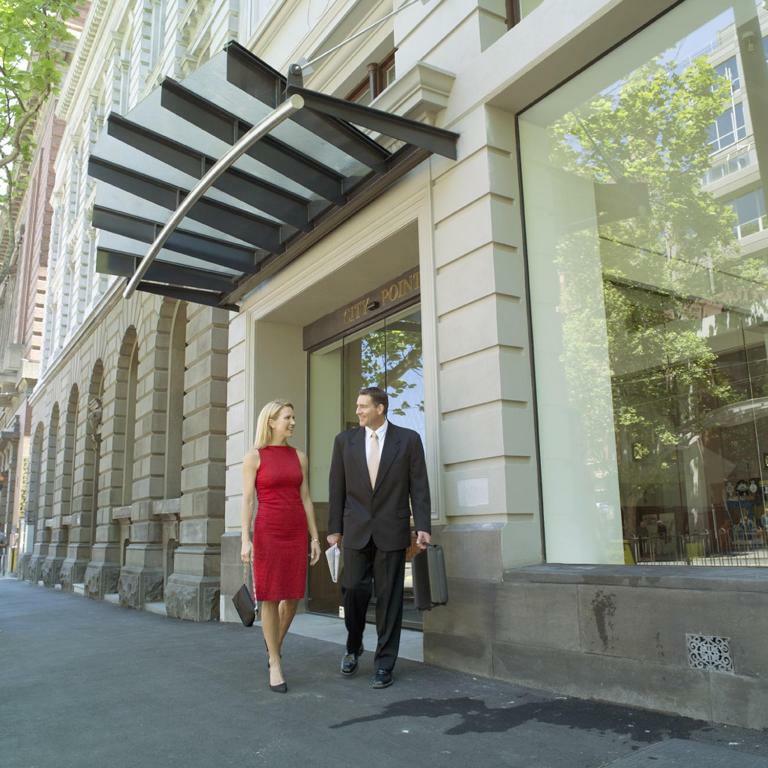 Please note the reception office is located at City Point, 668 Bourke Street, Melbourne. Reception is available 9:00 until 19:00. From 1 August 2017 check in and key collection will take place at Melbourne Short Stay Apartments on Lonsdale, 618 Lonsdale Street. For more information, please contact the property, using the contact details found on the booking confirmation. After hours check in is available from 19:00 until 07:00 daily. 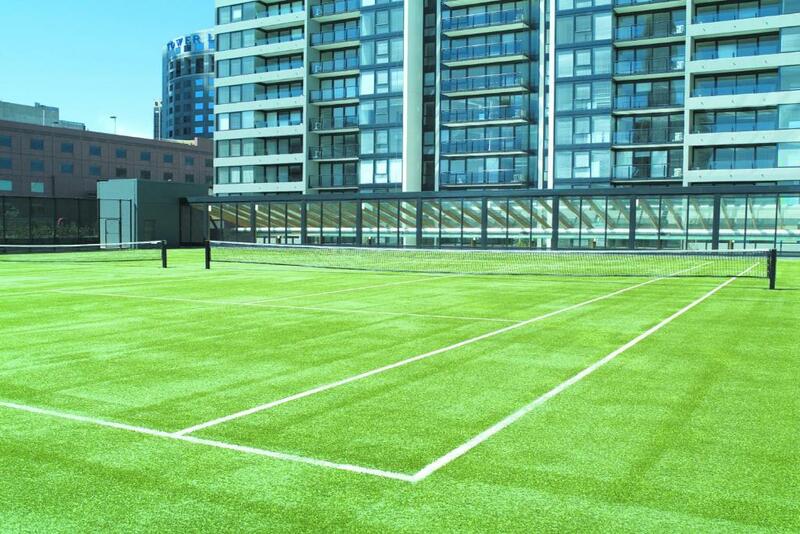 Check in and key collection will take place at Melbourne Short Stay Apartments CBD- City Point, 668 Bourke Street. A minimum of 30-minutes notice prior to your arrival must be given to the property that a meet and greet service and key collection can be arranged. Please contact the property using the details on your booking confirmation. Please note that there is a non-refundable 1.5% surcharge when you pay with a MasterCard or Visa credit card. Please note that there is a non-refundable 3% charge when you pay with an American Express, Diners Club or Union Pay credit card. Please note that apartments are serviced every 7th day from the date of check in. Additional servicing is available upon request for an extra charge. Guests are welcome to contact the property for more information using the contact details on the booking confirmation. 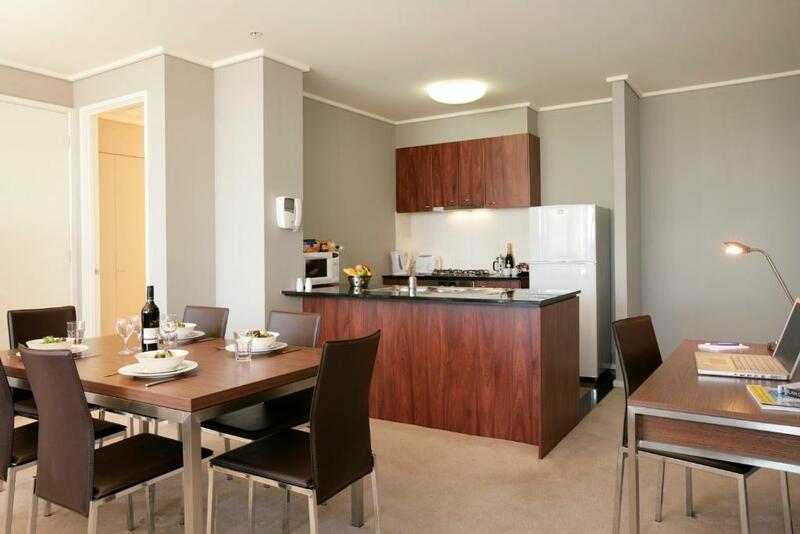 Please note that AUD 500 credit card pre-authorisation is required for all Three-Bedroom Apartments upon check in. Please inform Melbourne Short Stay Apartments - Melbourne CBD of your expected arrival time in advance. You can use the Special Requests box when booking, or contact the property directly using the contact details in your confirmation. A damage deposit of AUD 500 is required on arrival. That's about 356.68USD. This will be collected by credit card. You should be reimbursed within 14 days of check-out. Your deposit will be refunded in full by credit card, subject to an inspection of the property. Somewhere to put the soap in the shower!!! Difficulty dealing with staff regarding check in. We had to pick up keys from a different location, and staff seemed to be unaware of the processes for the building our apartment was in. The apartment was not up to standard cleanliness and needs a freshen up - paint, carpet and blinds. Cleanliness needs to be improved. Apartment was very dusty especially the blinds. tiled floors disgustingly dirty rang and asked for cleaner to come and clean and they did. also the floor had stuff all over it like it had only had a real quick vac, you could see stuff all over the carpet as soon as you walked in. and bathroom dirty bath looked like it hadn`t been cleaned and sink not much better. Our room was a little tired and in need of some renovation especially the ensuite bathroom/shower. This was our third time here and probably was the room that has had not been maintained as well as it could be. Could have been a little cleaner in some areas! Fantastic apartment in a great location, close to public transport and a quick free tram ride to the city centre. Very clean and both bedrooms have their own ensuite. Fantastic security staff. Had early flight and reception desk was not open to drop off keys. Had to drop off in the building beside. Should have been advised of this at check in. Very clean and comfortable. New finishes. Great location , short walk to all transportation.